Awesome service every time . Very attentive staff and my service advisor, Ivan is amazing . The sales staff and management are a cut above all other Jaguar dealerships! Wally, Steven and Karla are top notch professionals. Indigo Auto group took over this dealership and will add Land Rover to its line up. Don’t let the current appearance fool you as they begin construction on their new facility. They are on Auto Dr not Adams as your gps may misguide you. Directly across from the Ford dealership! Amazing people! Professional, courteous and super friendly. My wife and I are looking for an SUV that is dependable, comfortable, stylish and able to handle tough situations. 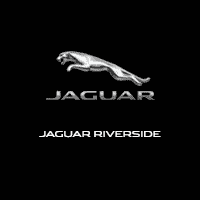 We found it at Jaguar of Riverside! Special thanks to Mr. Wally for showing us and teaching us some of the 100+ features of the Land Rover Discovery Sport HSE. And thanks to Ma Karla for getting our loan approved. Highly recommended and AAA+++ Customer Service! Thank you, thank you, thank you!